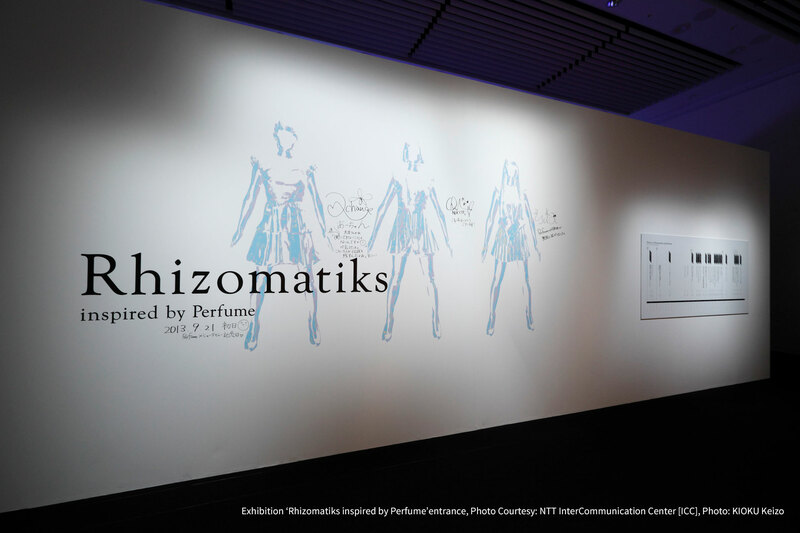 A debut exhibition shining a spotlight on the innovative technological performances developed in collaboration between Perfume and Rhizomatiks. 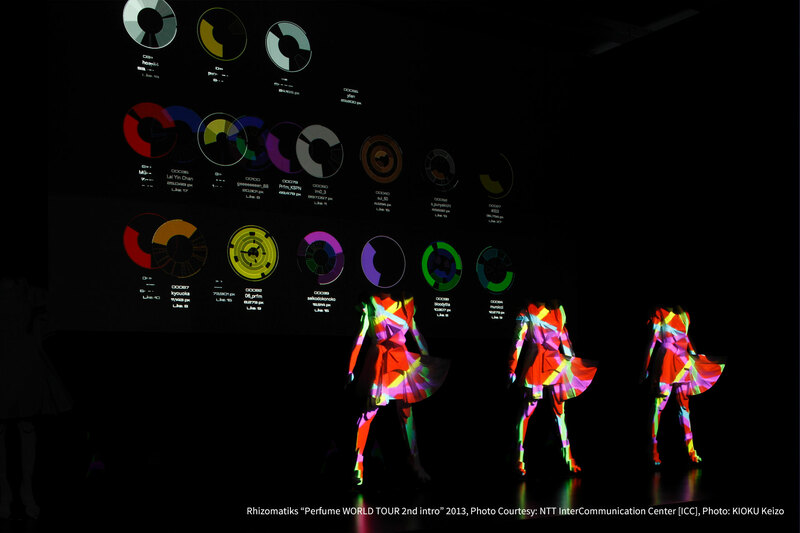 Held at the NTT Intercommunication Center in the Tokyo Opera City Tower, the event offered a comprehensive up-close look at this unique partnership to date. 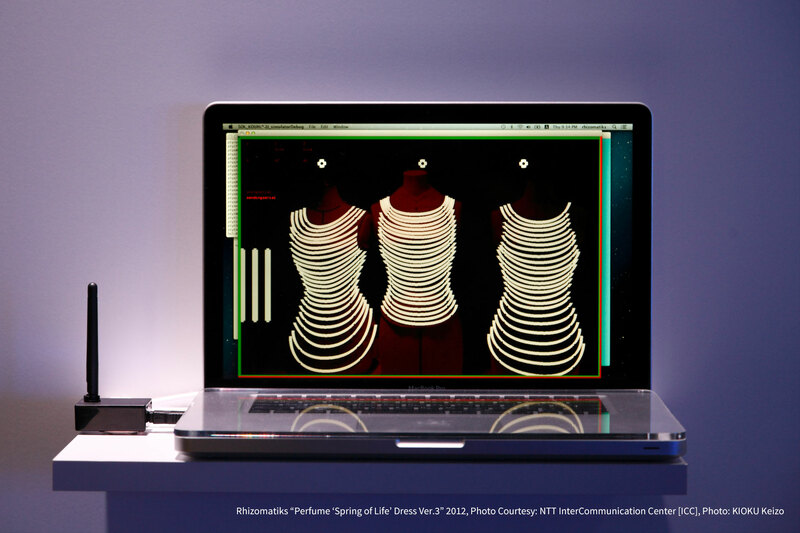 Visitors were greeted by surreal, hologram-esque video created by 3D scanning Perfume’s members in the Physicalizing Data by Rhizomatiks Inspired by Perfume installation. 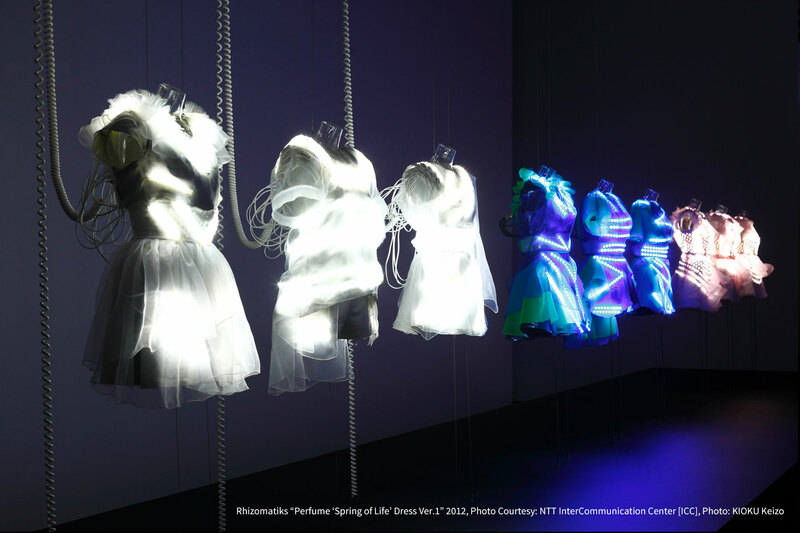 Displays included the LED-filled costumes, illuminated high heels, and glowing nails worn during a live performance of “Spring of Life,” as well as the motorized, mobile costumes worn during the Cannes Lions International Festival of Creativity. The exhibition also highlighted interactive contributions such as fan-submitted posts to the Global Site Project.